If you are downstate this weekend and looking for something different then head on over to the thumb, specifically a little town called Gagetown. Just to the east of town is a fairly unique agricultural structure. In celebration of this rather unique barn there is an annual festival. If you are wanting more information visit their site. 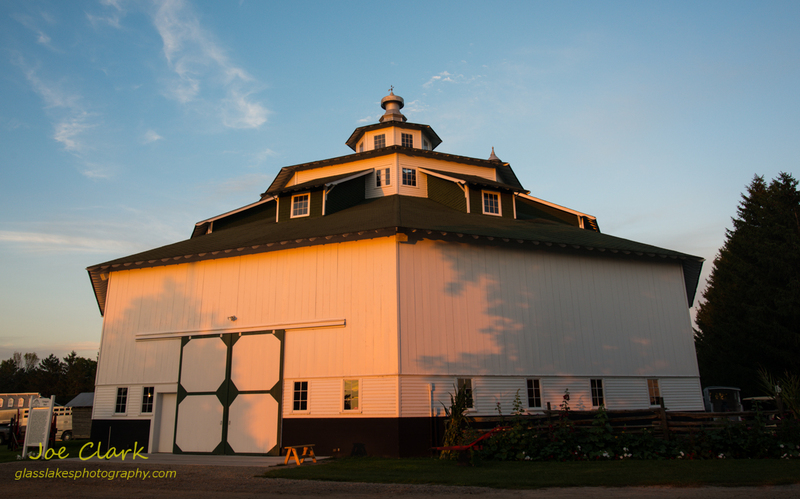 The barn is pictured below as the last of the evening’s light falls upon it.